The first time I published a blog was way back during my freshman year of college. I made all the mistakes a rookie would make when it came to content: writing for myself instead of the user, crafting inconsistent posts, and putting out more fluff than fact. Fortunately, I quickly learned the ins and outs of successful writing and blogging. When it comes to a website, blog, or social media account, the kind of content you produce has a huge impact on your target audience’s experience with your brand. As it happens, just mashing stuff together onto a page is not the way to go. There are a few important principles every designer should consider when developing a content strategy. Good content must be user-centered. On a most basic level, content should address the needs and wants of the user. But it’s not enough to say, “Oh, user X wants this, so let’s just put in Y to satisfy that need.” Remember that users are, yes, human, so developing good content involves understanding their cognitive frameworks, motivations, and ways in which they view the world. Sound like a tall order? User-centeric content requires a ton of research, but if you want to encourage traffic and keep users glued to the site, it’s the only way to go. Good content must be consistent. Consistency is a huge part of user-centered content marketing because seamless language and presentation together make for better user experiences, reduce redundancies, and remove distractions. One of the mistakes I made with my first blog was the lack of consistent content. Humor me, and let’s assume that people actually flocked to my site: they would have found a menagerie of blog articles about everything from traveling, celebrity gossip, and personal ranting. Inconsistency shows users that you not only lack a sense of focus and clarity, but that you do not have a strategy for meeting their needs. Good content must be appropriate. This is tied into the consistency principle mentioned above. Web content must be right for the user and for the goals of the business, and the two often work hand in hand. I’ll demonstrate with a personal example. I recently bought a plane ticket for a trip I am taking in a few months. The company I used to find my ticket was easy to navigate and the content was not obscured in confusing jargon—everything I needed in order to buy the cheapest ticket was right in front of me (right for the user), and because of that, I will definitely return to the company if I ever need a ticket again (right for the business). 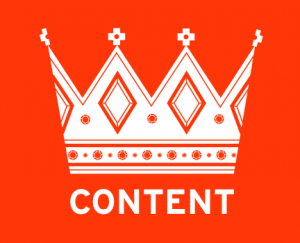 Now that you understand some of the ins and outs of content strategy (right? ), remember that content won’t magically appear on a silver platter. Check out another great article on what you need to know about content strategy to learn some more helpful tips. Thought out content that is well-informed and completely developed typically doesn’t emerge out of thin air—it takes a committed team to create and implement. At WDG, planning a functional content strategy is one of the first things we do when partnering with new clients. We have a fantastic team of user-experience (UX) designers who work to give our clients the best web experience that is tailored specifically to their unique goals. Ready to learn how we can help you? Get in touch with us today.